Chris has been interested in natural history, especially birds, since a very young age. Brought up in a small village in rural west Dorset in southwest England, he has been associated with Portland Bird Observatory since 1970. He trained as a bird ringer there, and from 1975 he wrote a monthly newspaper column about Dorset birds for the local Dorset Evening Echo. In the late 1970s he was a committee member of Cape Clear Bird Observatory in southwest Ireland. Since moving to Asia in 1981, he has lived in Hong Kong, Seoul, and, for over 25 years, in Tokyo, where he is a news editor and former fashion editor at The Japan Times. 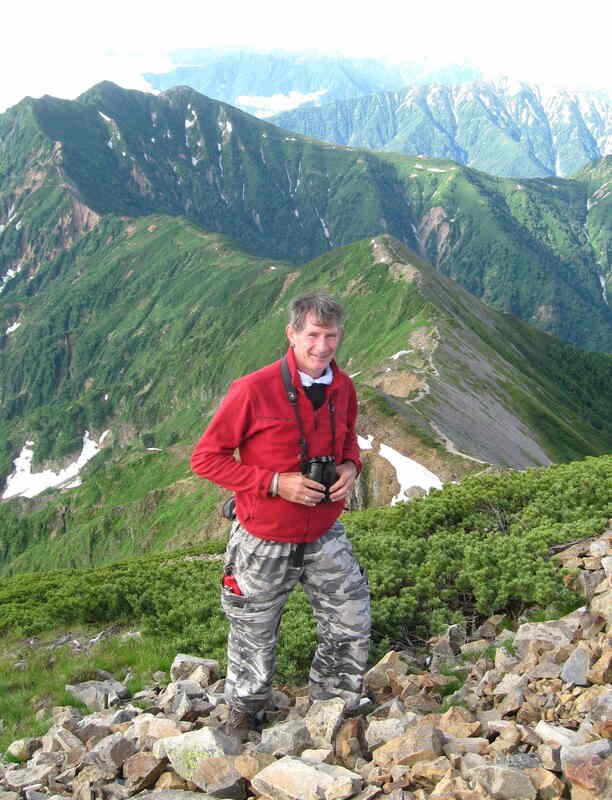 When not working, Chris spends his time birding and mountain hiking, especially in the Japan Alps. For two decades Chris has been leading birdwatching tours in Japan. Foreign tour companies he has worked with include: Sarus Bird Tours, Ornitholidays (U.K.), Eco-Expeditions, American Birding Association and Massachusetts Aububon Society (U.S.), and Liberty Bird Tours (Switzerland). He also assists numerous individuals and couples who prefer a private birdwatching guide.